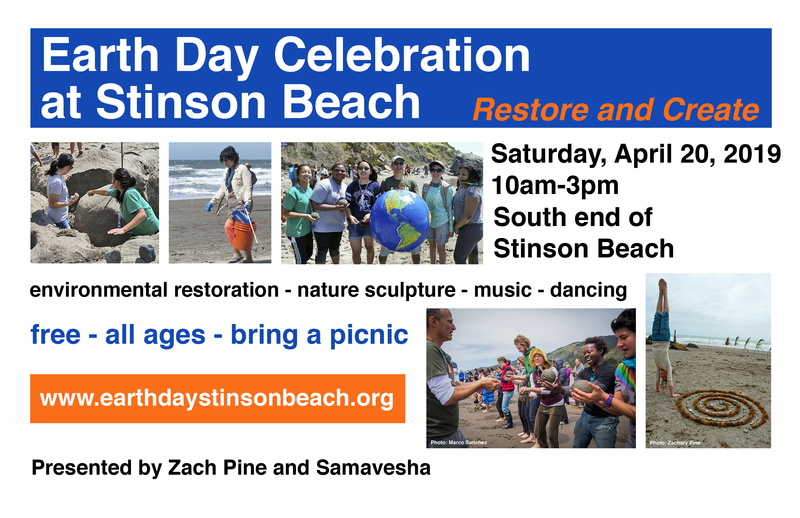 The 15th Annual Earth Day Celebration at Stinson Beach combines care for the environment with arts activities for all ages. 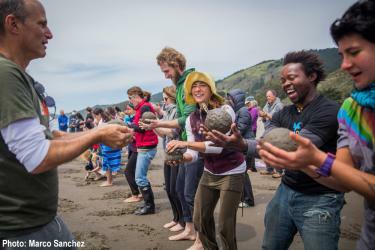 Participants can help with beach cleanup and join with collaborating artists engaging the public in sculpture-making with natural materials, making music, dancing, and more. 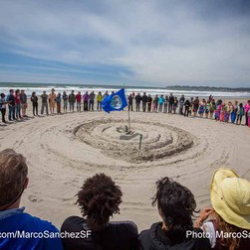 This inclusive event inspires and energizes people to care for and protect the earth not only on Earth Day, but throughout the year. Bags and gloves are provided, but you are invited to bring buckets and gloves in an effort to reduce our environmental footprint. 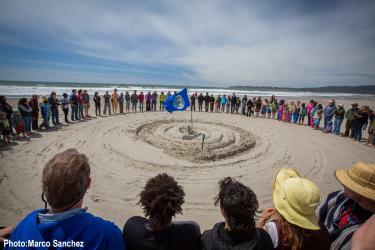 Over a dozen collaborating artists invite participatory collaborative activities in connection with the earth, including making ephemeral art with natural materials from the beach, music making, dancing, and more. You are invited to bring along small percussion instruments such as shakers, bells, or palm-sized drums to join in the musical creation. Instruction in sand globe making will take place periodically throughout the event, and we'll use the globes in our creative activities and creations. Bring a picnic lunch. The gathering takes place rain, shine, or fog. Come anytime 10am - 3pm. All ages welcome. Sorry, no dogs allowed at this end of the beach. Consider carpooling and public transportation. 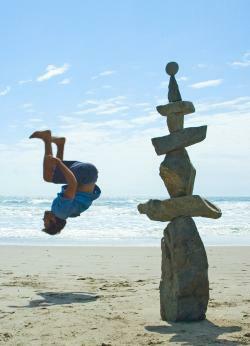 The event is at the south end of Stinson Beach (to the left as you face the ocean).